Sitting in the August sun in the beer garden at Koningshoeven Abbey, home of the famous La Trappe beers, brewmaster Lodewijk Swinkels admits he has no plans to expand the abbey brewery’s range, for example by adding more seasonal beers to the La Trappe Bock that’s currently in his hand. “We asked the monks, and they said eight is enough,” he smiles. Fortunately, the regular range is already excellent, as is the Bock: “Dutch Bock is different from German,” he says. “Most are sweetened, but not mine!” The others include a Dubbel, Tripel, organic Puur, the only Trappist Witbier, Isid’Or, and the Quadrupel that founded a whole style. Plus, he’s pleasing the beer geeks anyway with a six-year-old Quadrupel barrel-aging project. It’s no surprise though that he had to ask the monks. It is their brewery after all, just as the International Trappist Organisation’s rules says it has to be – if they want to put the T-word on the label, that is. And if there’s something Trappists like even more than beer, it is rules. Indeed, their life is all about obeying rules – the Rule of St Benedict, to be specific. Historically they took it more seriously than most: their order was founded by people who thought that other monks and nuns weren’t following the rules strictly enough. 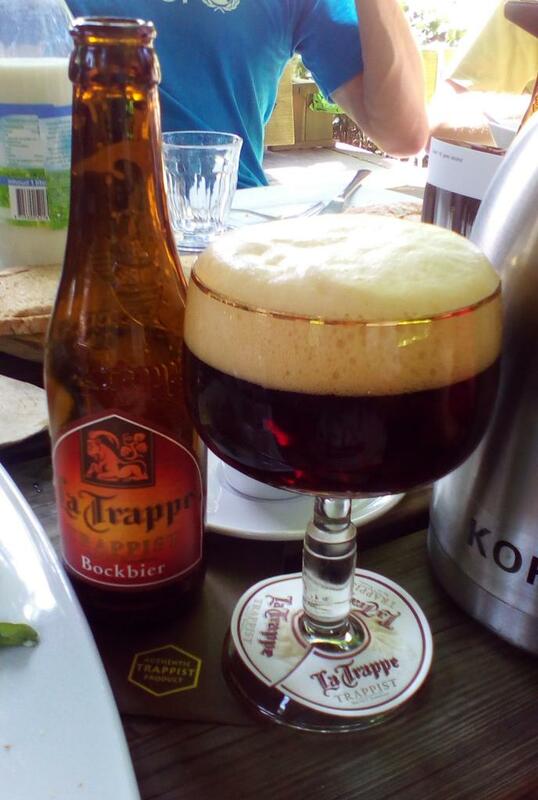 So it is little wonder that they created rules to govern the brewing of Trappist beers too. The tradition of monastic brewing is centuries old. Monks and nuns brewed both for their own consumption (self-sufficiency being one of the rules) and for the travellers and pilgrims who visited them, but as time went by, more and more of it became secular. The beer was contracted out to local breweries, for instance, or a local private brewer bought the rights to the name. The Trappists are an exception. Perhaps because they were relative latecomers – having been a reformist movement within the Cistercians for 200 years, they only became an independent order in 1893 – or maybe because they were more commercially-minded. As monks and nuns fleeing the French Revolution and its aftermath set up new monasteries elsewhere, most notably in the Low Countries, brewing was one of the first things they turned to generate income to fund their lifestyle. I’m not a fan of organised religions in general, but most do have their good points. In the case of the Trappists, one of their best features is that when they do something they do it properly, without cutting corners to bump up profit margins. Perhaps that’s why their beer seems to have quite quickly earned a good reputation. But when the Trappists realised in the 1950s and 60s (about 100 years after Chimay had been the first to sell its beer) that their name was being used by commercial organisations, they reacted in a very modern way to protect their brand: they sued, and then set up a private association – the ITO – with rules to manage the use of the brand and its Authentic Trappist Product (ATP) trademark, which is also applied to abbey-made cheese, soap, bread and all sorts of other things. Key rules include a requirement for the work to take place physically within the abbey, with monks at least supervising operations (lay-workers are OK), and for the operating surplus to go to financing the abbey and charitable works (the latter also covers religious missions and the like). There’s other rules – or perhaps guidelines – too. For instance, they don’t use images of the monks or nuns to promote beer, and more recently seem to have stopped using images of the abbeys too. 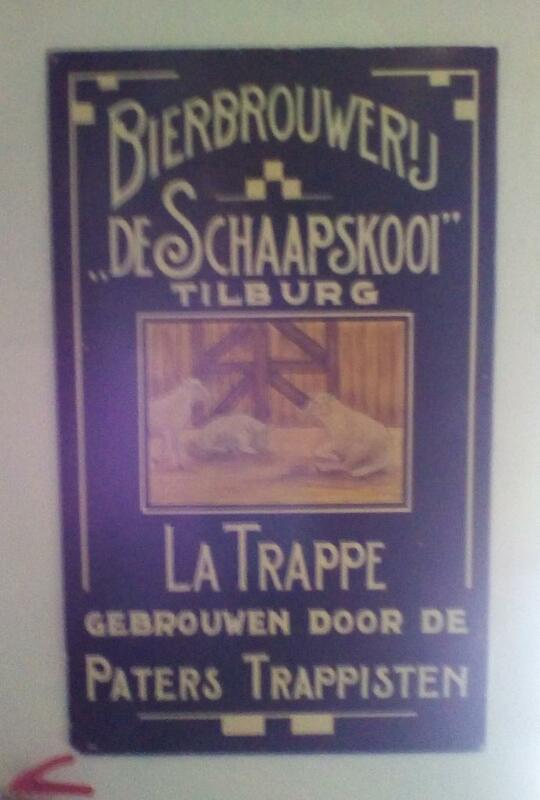 It will say Trappist on the label, but there won’t be the cheesy paintings of red-cheeked monks that you see on many commercially-made German ‘Klosterbiers’. Brouwerij Bavaria handles La Trappe’s logistics and distribution too, which explains why the beers are so well known, and the abbey also brews for a number of other brands – at various times it brewed Jopen and Chimay beers, and it still brews Urthel for example, although Swinkels says that increasing demand for the La Trappe beers means he is trying to cut back on the contract work. Bavaria’s involvement funded a new brewhouse, shoehorned in alongside the old one to stay within the abbey walls, as required There’s also an up-to-date bottling and kegging line in the abbey, and a large visitors' centre with restaurant, bar and that sunny beer garden. 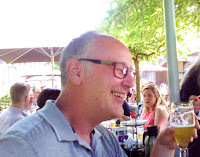 I met Lodewijk on a tour organised by VisitBrabant ahead of this year's European Beer Writers & Bloggers conference. 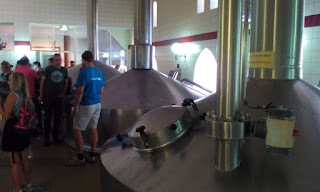 We all paid for the tour ourselves, the caveat is that we were at the same time the guests of VisitBrabant who booked the beer tastings and covered our hotel stay. 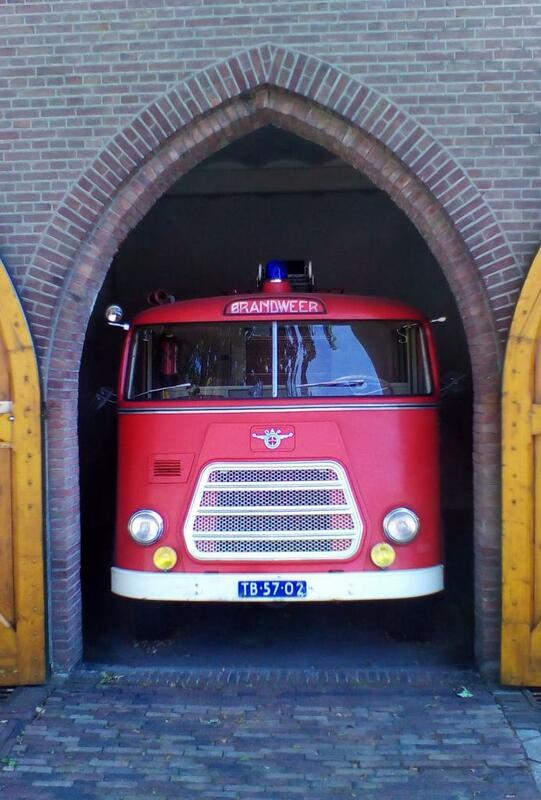 Koningshoeven Abbey is not too far from several other Trappist breweries over the border in Belgium, and VisitBrabant links up with its counterpart there to do cycling tours where you can visit half a dozen of them over a few days. Nice! For me, the pre-conference tour was one of the highlights of this year’s EBBC. A perfect day of sunshine, good beer, good food, good company, the canal trip and that bike-ride!